Quaffable red berries and spice. Smooth tannins and well integrated acidity. 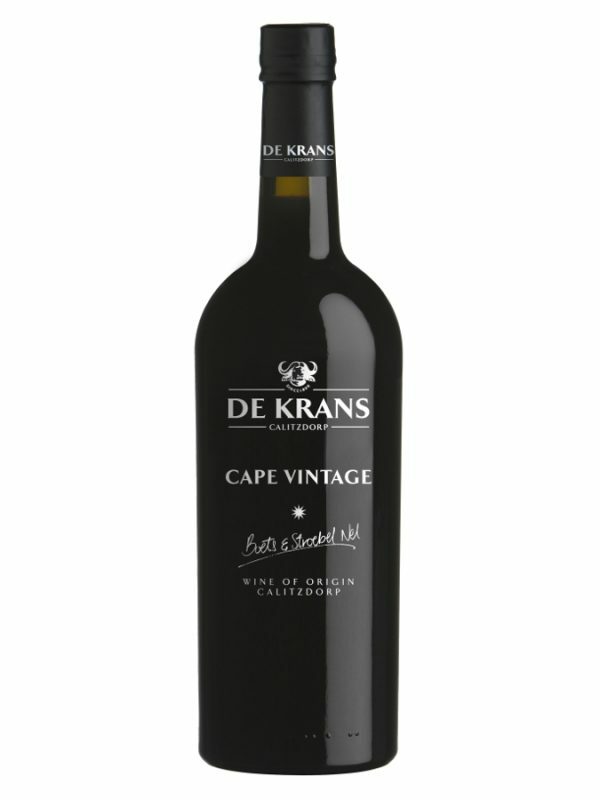 Tinta Barocca was the first Portuguese grape to find its way to the Klein Karoo in 1973. However, this was never planned, as the Nel family thought they had planted Shiraz. Similarly, in 2004, Tinta Amarella was planted, thinking it to be Tinta Roriz. These vines finding their way to Calitzdorp due to a simple twist of fate has now for years been vital to the success story of Calitzdorp port and dry table wines. Tinta Amarela and Tinta Barocca are harvested together early February at 23.5o Balling. Bunches are destemmed, crushed and rapidly cooled in an open fermenter. The berries are then left untouched to naturally start fermenting. As soon as fermentation starts the free run juice is drained from the vessel and cool fermented at 15 to 18o C in tank. After fermentation is complete the wine goes through malolactic fermentation (MLF) and then to older 300L French oak barrels for 12 Months before bottling. Taste: Quaffable red berries and spice. Smooth tannins and well-integrated acidity. Your next favourite wine for a braai wine. Easy drinking this wine is versatile & will suit for any occasion. As a “twist” enjoy chilled for the perfect summer red wine.